As federal and state agencies continue to face budget shortfalls, administrators are looking to find the most effective correctional policies. This, in turn, has increased the number of individuals being placed on community supervision. Probation and parole agencies need to develop effective and innovative solutions for handling the influx of cases that won’t jeopardize public safety. 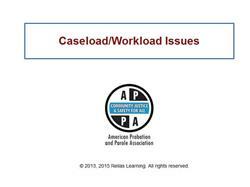 The American Probation and Parole Association (APPA) is often asked questions such as, “What is the ideal caseload size?” or “What is the best way for administrators to assign cases to officers?” This course will explore the caseload and workload demands of the profession with you, and you will learn practical strategies and tools that will help you make informed resource allocation decisions. 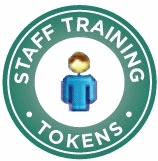 The goal of this course, through the use of instructional materials and experiential exercises, is to teach you how to balance caseloads and workloads under today’s financial constraints. This course is intended for corrections and public safety mid-level and senior-level managers working in community-based programs, and it is based on the Community Supervision Workload Considerations for Public Safety report developed by DeMichele, Payne, and Matz. Discuss the difference between workload and caseload models in community corrections. Identify challenges that community corrections professionals confront when completing different supervision and administrative tasks. Describe issues to consider when conducting time studies or using time study matrices developed by APPA. Roger Bonner, Ph.D. retired from the Kansas Department of Corrections as Deputy Director of the Enforcement, Apprehensions, and Investigations Division. During his 28 years with the Department, he was instrumental in the development of policy, procedure, and protocol throughout the Department. Dr. Bonner is on the advisory board of the Kansas Gang Investigator's Association and served on the executive board of the National Major Gang Task Force. He has a Doctoral Degree in Public Safety with a specialization in Criminal Justice. Dr. Bonner is the criminology program director at the University of Saint Mary and an Adjunct Associate Professor in Organizational and Security Management at Webster University. Disclosure: Roger Bonner, Ph.D. has declared that no conflict of interest, Relevant Financial Relationship or Relevant Non-Financial Relationship exists.